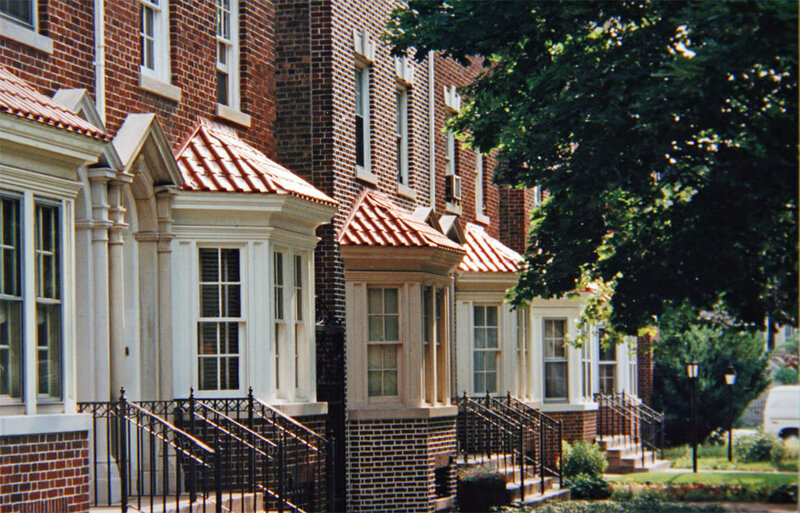 Neo-Tudor rowhouses on Rutland Road, built 1914-15. 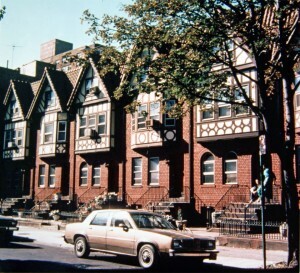 Although a common style for freestanding frame dwellings the neo-Tudor was not commonly used for rowhouses. Note the rhythm of the alternating flat-arched and rounded doorways and windows, and the angular oriels (bays). 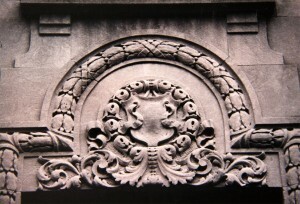 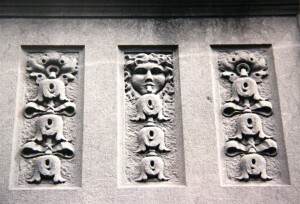 One of many ornamental relief styles bordering front doors and windows. 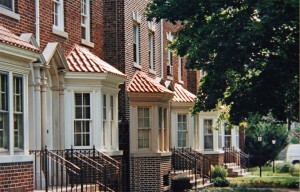 Neo-Rennaisance row on Rutland Road. 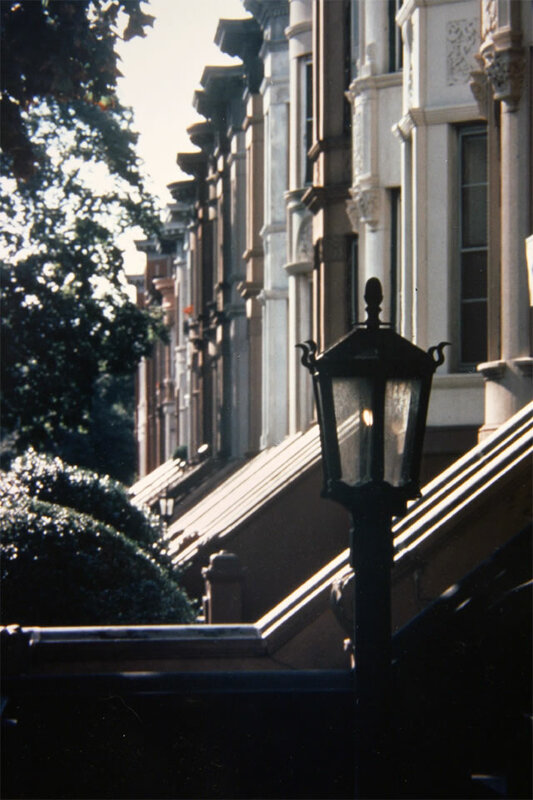 The concern of early residents for light and air and greenery continues today. 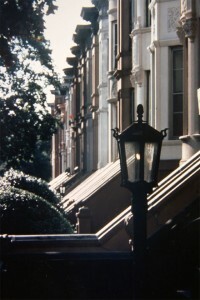 Houses in the Manor are set back from the street by at least fourteen feet, providing space for front staircases and gaslights which serve both ornamental and practical functions. 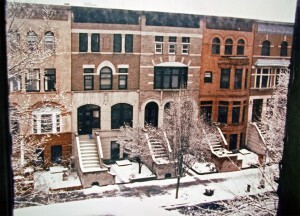 Row of houses on Rutland Road, designed by Axel Hedman. 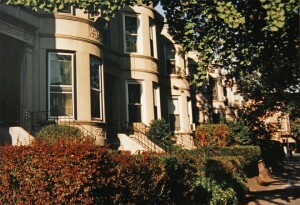 Built in 1908 with many neo-Renaissance elements including alternating round and angular bays and high dog-legged stoops. 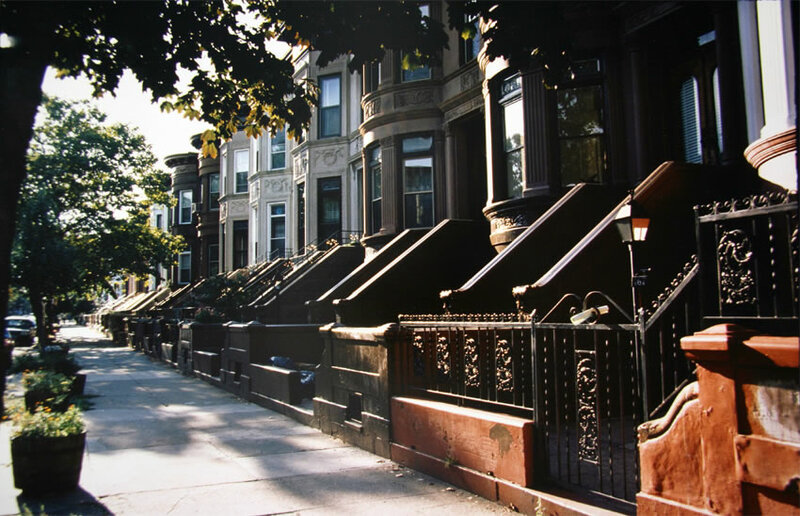 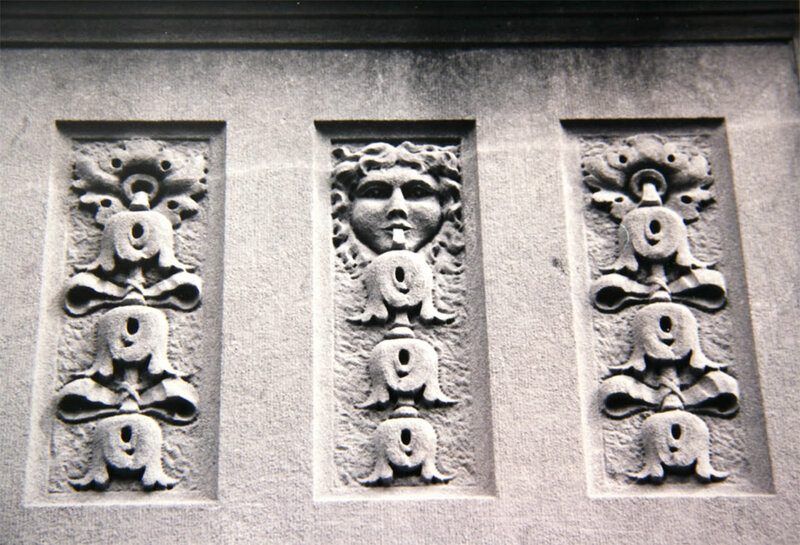 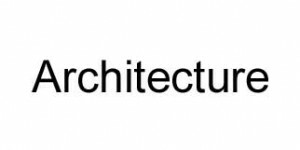 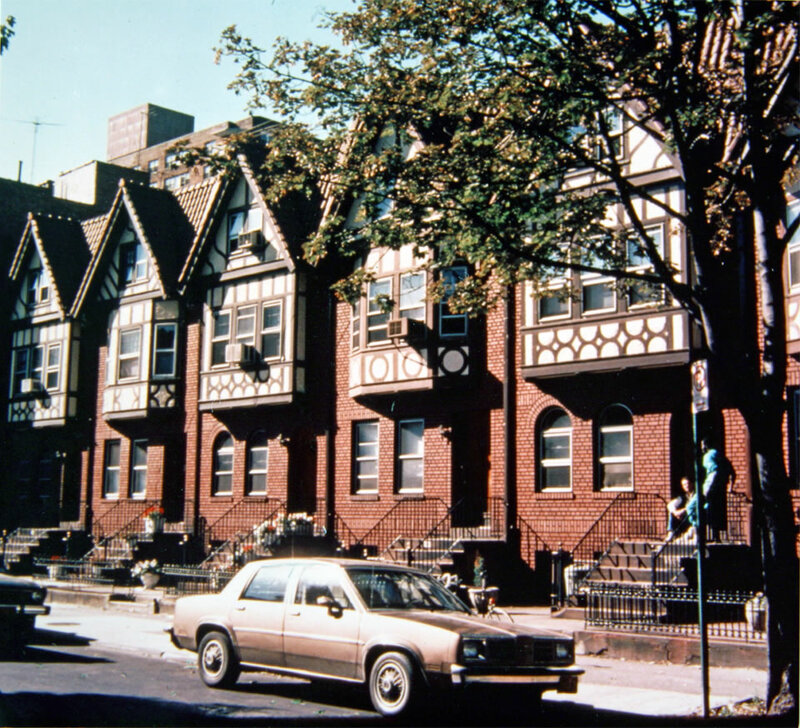 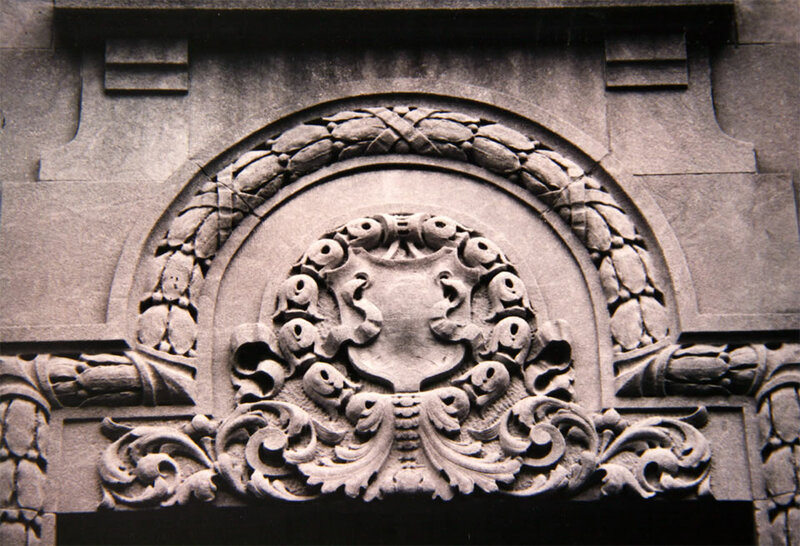 Architectural features and history are described in more detail in the Prospect Lefferts Gardens Historic District Designation Report, 1979, Photographs by Andrew Strawcutter and Linda Eber.